In this week's how to, we're going to put together a simple, mixed-media artist trading card that celebrates the spirit of Halloween! We'll be using a few tools that many paper crafters will already be familiar with such as embossing equipment, stamps and stamping pads. 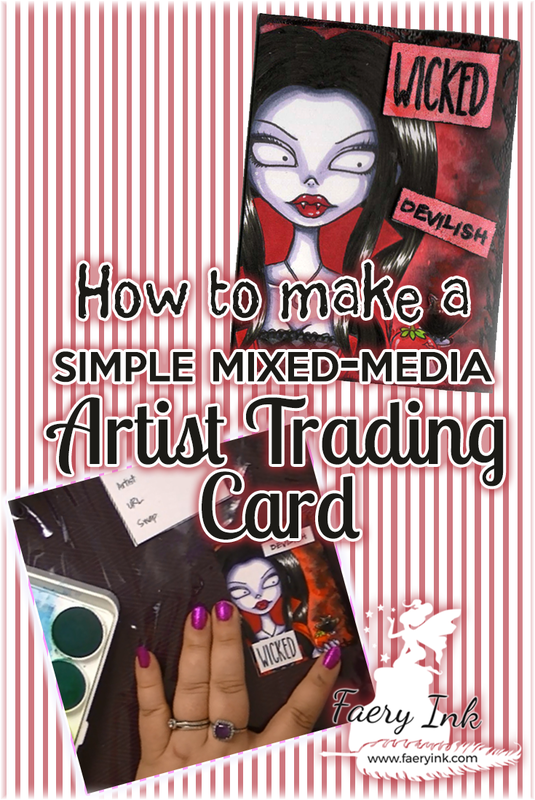 Don't know what an Artist Trading Card is? Invented as a collaborative art performance by M. Vänçi Stirnemann in 1997. Small artworks sized 2.5 inches x 3.5 inches ( 64 mm × 89 mm ). ATCs are never sold. “Art Cards, Editions and Originals”, or ACEO for short are the commercial version of ATCs. ATCs are usually labeled on the back with the artist’s name and date of creation. It's common to include contact information (email/url), title, edition and swap information. Time for you to get started on yours! 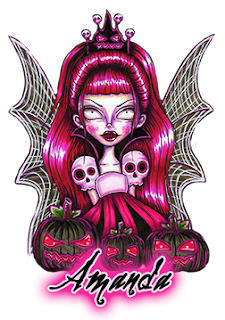 You can use any digi, including something you've already colored up, or if you want to use Ophelia Vamp Juice (and you didn't grab her already) you can pick her up here: Ophelia Vamp Juice Digital Stamp. I'm making mine for the Faery Ink Halloween swap. I chose a vamp to fit the Halloween theme. In this tutorial we're not going to go over how to color the digi.